DB Breweries wanted to increase awareness of a new product luanch, the Rekorderlig Cider Cocktails range. The premium cider range with uncompromising taste will meet the world of cocktails in a convenient format found in traditional liquor stores. 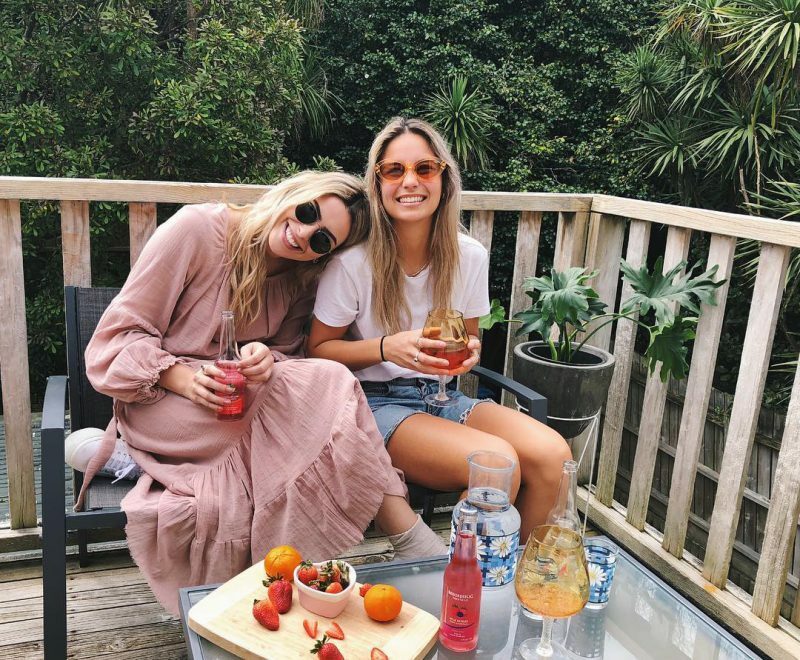 Rekorderlig and The Social Club ran a female-focused influencer led campaign, combining elements of their lifestyles with the new product to produce influencer generated content. With the aim to recruit new consumers to the RTD category into ongoing cider consumers and increase in aisle purchase consideration. The competition element proved to increase post engagement, overall awareness and interest in the beverage. 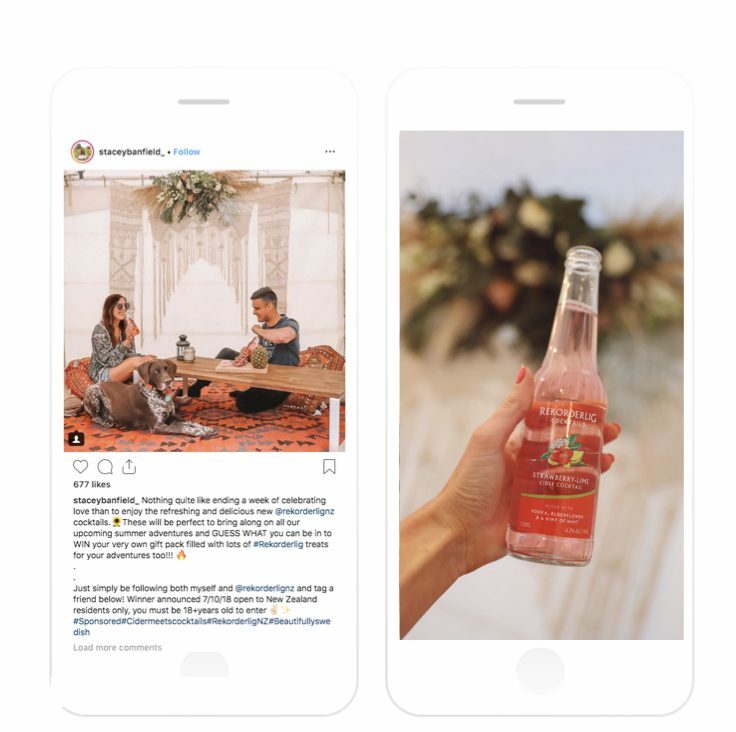 With audiences following Rekorderlig on Instagram and sharing locations they would like to enjoy a Cider Cocktail. DB Brewery and The Social Club collaborated with seven influencers for this campaign to share a range of content and reach a wide range of audiences. Encouraging strong engagement as well as traffic to the Rekorderlig Instagram page. Influencers that were predominantly foodies, stylish millennials and micro influencers showing themselves enjoying Rekorderlig Cider Cocktails in their own unique way. From beautifully curated and styled shoots to organic, authentic and fun content. Bringing out the spirit of what Rekorderlig is all about – having fun and enjoying with friends on a sunny afternoon! Viarni’s personalised touch and feel saw impressive results reaching 71,500 kiwis. Influencers in the food niche created beautiful imagery and excitement while kicking off inspiration for warmer weather meals. Styling the drinks in a classic cocktail glass and pairing with prawn cocktails – Genie’s content was able to showcase Rekorderlig Cider Cocktails in a premium and luxurious light garnering an awesome 14.5% engagement rate on her post. The bright, luxurious and beautifully created content by our chosen influencers proved to be successful with over 447,973 total impressions. Curated and styled shoots to organic, authentic and fun content an invaluable awareness is gained.